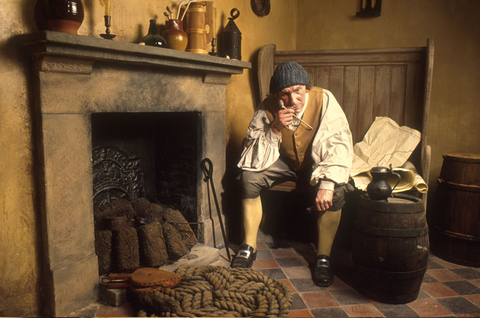 The award wining Saltburn Smugglers is set in ancient fishermens cottages, which skillfully blends costumed characters with authentic sounds and smells. Follow the story of John Andrew King of the Smugglers who found himself at the centre of the illicit trade 200 years ago. Located in a series of small buildings next door to the still existing Ship Inn, the Saltburn Smugglers recreates the time as it was with realistic figures of the characters of the era, along with the sounds and even smells to take you back 200 years. You enter the first room plunged into complete blackness, then are introduced to first the seaside sounds and dim firelight comes up and you find yourself in an 18th Century Inn den of smugglers involved in the conspiracy. The exhibit leads from one room to the next as you follow the story with recored voices and sounds, and in the in the final room guess from the wafting aromas what kinds of goods were the shipments of the day. Unfortunately, Redcar and Cleveland Council have closed the Saltburn Smuggler’s Heritage Centre after a severe storm breached the sea wall and caused serious damage. There are no plans to re-open the centre in the near future, if at all.